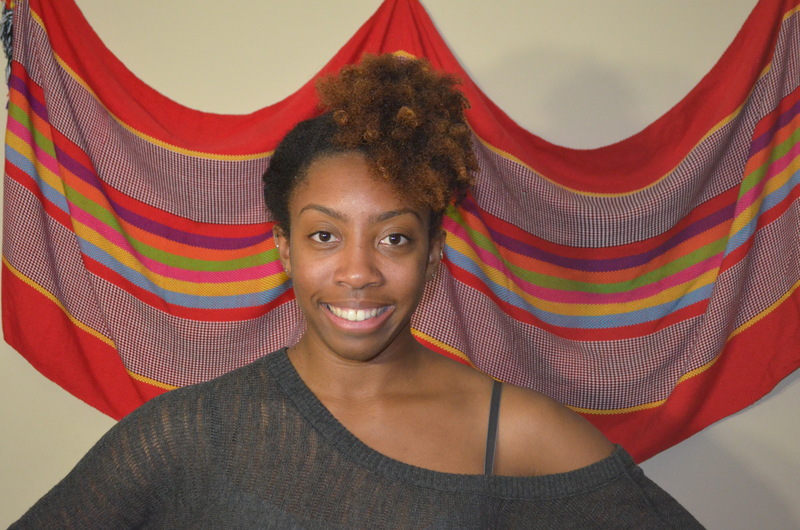 After a few days, a nice, defined twist-out can become just the opposite: frizzy and undefined. 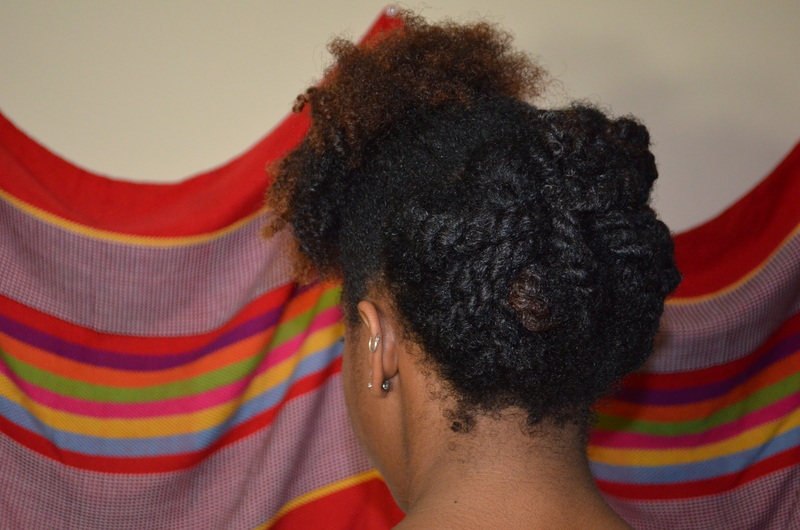 So, in order to combat the “old twist-out blues” you can spice up that same hair by doing a quick, partial up-do! Take your hair and part it in half horizontally. Use a hair tie to put the top half of your hair out of the way leaving the bottom half of hair out. Now, begin to split the hair that is out into medium sized sections, so that you can spray each section damp with water, and apply your water-based moisturizer (and oil if you’d like) to each section as well. Once each section is damp and moisturized, begin to two-strand twist each section (you can do your twists smaller if you would like, I just decided to use bigger twists because it is quicker). When all the sections are twisted, take a couple twists at a time and pin them using the bobby pins to the opposite side of your head. Repeat this with the other twists until all the twists are pinned. By pinning the twists across your head, it creates a slight criss-cross design in the back of your head. Now it’s time for the top half of hair, which is even simpler! Smooth the top half of your hair forward and to either the left, right, or center of your head and put the hair tie around your hair to keep it in that place. Pull and fluff your hair to the desired size and ‘poofiness’ you like, and you’re done! 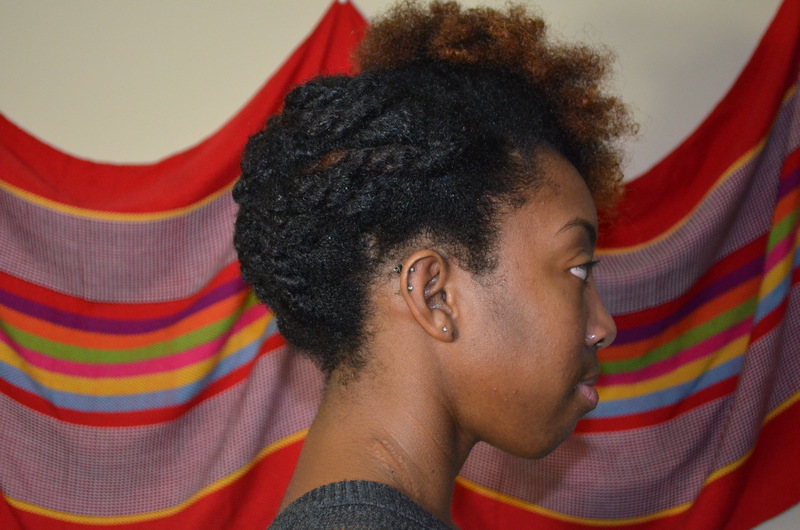 A fast, easy partial up-do on old twist-out hair. Merry Christmas Eve…Eve with Beginner Photography!